Jailbreaking your iPhone has become the fashion world equivalent of the new "black" thanks to the U.S. Copyright Office's ruling that jailbreaking the iPhone is legal. Couple that with a new Website called Jailbreak Me that makes the jailbreaking a snap and we may have hottest new iPhone trend in the works. So if you decide to jailbreak your iPhone what can you do with your newfound power you ask? 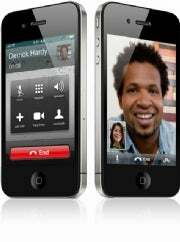 Run FaceTime, Apple's Wi-Fi-only video chat client, over 3G, that's what. 1. Jailbreak your iPhone. Do so by visiting the Jailbreak Me 2.0 website on your iPhone. Follow the instructions on the screen (basically sliding what looks like a lock bar across the screen), and your device will be jailbroken. Remember--just because jailbreaking is now "legal," that does not mean it's okay in Apple's book: jailbreaking your device will still void your warranty and could make your iPhone unstable. 2. Download My3G, a Cydia app that will make your iPhone believe it is on Wi-Fi even when it's using 3G. This app will set you back $3.99, but you can try it for free (also, you'll be able to do other things over 3G that you normally can't, such as download apps that are over 20 megabytes). But wait a minute, you say--when I got my iPhone 4, those AT&T people made me sign up for a limited data plan. How many megabytes will using FaceTime over 3G eat up? 9 to 5 Mac did an experiment--they put two iPhone 4's to the test and compared the before and after data counts. 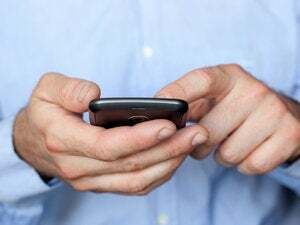 According to their experiment, a "5 minute FaceTime call with lots of movement" used 14.7 megabytes of data, or about three megabytes per minute. That means that if you signed up for the 250 megabytes per month package, you can make about an hour and 20 minutes' worth of FaceTime calls, while the 2 gigabyte package will net you 11 hours and 20 minutes' worth. That's a lot of FaceTime.